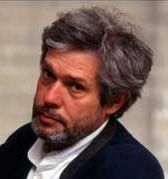 Antonio Rava was born in Turin November 12, 1952, he was graduated in architecture at the Politecnico di Torino and was graduated as a Restorer at the Central Institute of Restoration in Rome. Since 1979 he addressed his attention to contemporary art conservation at New York University, Department of Conservation with a Fullbright scholarship, since then he worked and hold research for Italian and foreign institutions responsible for conservation. It ‘was responsible for the Galleria Civica d’Arte Moderna in Turin during the European project INCCA (International network for the Conservation of Contemporary Art) and for several years he taught restoration of contemporary art for the University of Turin at the Center conservation and Restoration “La Venaria Reale”. He is vice president of the Italian group International Institute of Conservation, with which he collaborated on specialized conferences on the theme of the restoration in several Italian cities. The restoration work is based in Turin in a specialized laboratory equipped with modern equipment, meanwhile wall paintings, installations and works of public art are faced in situ .